Let’s face it: A new outfit can lift your spirits. Likewise, a rough half-hour in the dressing room can ruin your day. Men may not want to admit this, but it’s something most women – a garden retailer’s target audience–know and understand about fashion. At its heart, fashion is all about evoking emotion. For better or for worse, fashion – now a $1 trillion global industry–is revered as the place where trends start and fads go to die. And what starts in fashion permeates through a wide variety of other industries, including home furnishings, gardening and more. That influence can include everything from colors and textures to materials, styles and patterns. Marketers inside the green industry are watching the fashion world now more than ever to discern these trends and capitalize on them. They will also try to determine what fashions are fads and how long it’ll last. For the three marketers interviewed in this story, common themes from the fashion industry included use of color, seasonality of products, appealing to a specific market segment and simplicity for the customer. Color sells. No one denies this. Yet the green industry continues to leave the full range of color possibilities in everything from marketing and advertising to point-of-purchase material and products unexplored. For, well, almost ever, the green industry has been focused on the beauty and the color of the plant itself. And while that is incredibly important, color can do so much more. Gragnani, for one, notes that color plays a huge role in her marketing plans. For example, the Table To Garden program featured turquoise, the 2010 Pantone Color of the Year. She was inspired by People StyleWatch magazine – popular with women – and used the black and pink color scheme for My Bouquet. Suzanne Di Staulo, key account and marketing manager for Dummen USA, concurs. That can be an issue for an industry that works more than a year out (or, for trees and shrubs, several years out). As the director of marketing at Metrolina Greenhouses, Mariah Holland addresses this issue. In her opinion, while playing up hot colors is can be a great way to be trendy, there are still basic colors that are always in style during specific seasons. You Mean There’s More Than One Season? OK, so that’s a bit tongue-in-cheek. But one thing fashion does extremely well is keep itself in business year-round. Not only does the industry keep itself in business, it also has customers clamoring for first dibs on the newest seasonal releases. 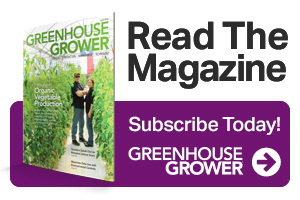 So how do growers help retailers overcome the one-hit-wonder syndrome? Colors can help tremendously, Holland says. “That’s one of my goals, and something we at Metrolina have worked to do the past couple of years. You will see that even more so coming up,” Holland adds. Marketing material goes a long way to help sell products at retail that aren’t in bloom yet. Customers in a garden center in June aren’t exactly impressed by green, leafy stems with no color. 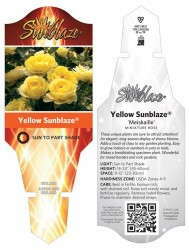 A professionally designed plant tag and matching pot that show the plant in full beauty, however, could get that customer to open their pocketbook. Likewise, an unexciting plant in a 6-inch pot gets new life when a textured or colored pot is added to the mix. Texture can be an equally important concept to color, says Di Staulo. Holland also notes that having the right product in the right stores at the right time is always important, and that goes for “off” seasons like late winter, too. Aside from color, another way to keep customers coming back during multiple seasons is by providing a product that’s easy to use and maintain. Dummen USA offers a program called Garden Party, which takes the guesswork out of putting combinations together at the grower level. That, in turn, takes the guesswork out of care and maintenance for the consumer once purchased at retail. Then, the grower can provide the retailer with the same component plants in individual pots or flats so the customer can accentuate their combo pot with garden plantings, much the same way a person would accentuate their outfit with complementary accessories. Retailers are just beginning to experiment with mannequins, a time-honored tradition in fashion. They take a combination pot and display it along with the component plants. Growers can work with retailers by mapping out potential combinations that would work for these types of displays and replenishing with similar colors and styles. What’s helpful is to understand what end consumer your customer is targeting. For example, is the core demographic for the retailer over 50 years old and female? Is it women in their 30s and 40s or does your customer pull in more male customers? Typically these are questions only asked at the retail level, but if a grower understands the core demographic, they can better tailor a program to help everyone be successful. Even once the demographic is identified, it helps to do a little investigative work. Different stores cater to different demographics, too. White House Black Market is a store designed to attract younger generations, but it’s a division of Chico’s, a store for women over 30. Meanwhile, within department stores like Nordstrom and Macy’s there are multiple segments to attract different demographics. Gap is another brand that has developed a variety of stores for different clienteles, including Old Navy, Banana Republic and, of course, Gap. These stores and more rely on their suppliers to keep them stocked with the newest product lines, some changing as fast as every three weeks. Jennifer Polanz is a freelance writer with Grasshopper Freelance. She can be eMailed at [email protected] See all author stories here. It would seem hard to have a conversation about connecting fashion to horticulture without including Hort Couture. Fashion forward merchandising, plants, series names, marketing etc… consumers love the idea!